The most suitable transition is to add highlight and/or lowlight to your hair as you grow them out. The best start is to having a short hair cut and add highlight that is flattering to your complexion to mask the effect of root growth. Get trimmed regularly. With each salon appointment, you grow more gray hair and your stylist will apply less highlight until eventually all turns gray. During this phase, you might decide to keep some of your highlight or not. 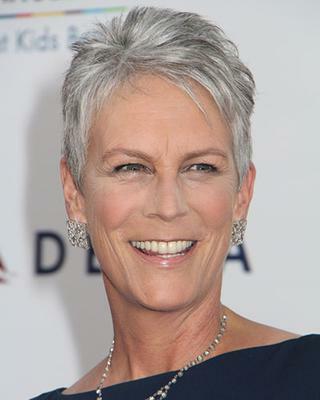 The tone you or your stylist select depends on your base color, and amount of gray hair. Once you go natural gray, you should change your shampoo and styling products to those designed for gray hair to avoid those yellowish tones that normally comes with gray hair. Gray or bleached hair normally turn yellow specially at the ends due to pollutions. I suggest using a very small amount of Aveda Blue Malva or Phyto PhytArgent Shampoo in everyday gray hair care. You can also use Shampoos designed for bleached hair or highlighted hair. I lost my hair also with Chemo and it came back gray. I'm very happy with my gray hair, is very soft and silky. I will never change my gray. many colors and great with pinks and red lipsticks. Just found a great shampoo for silver hair, gives it a nice luster....will never dye again!